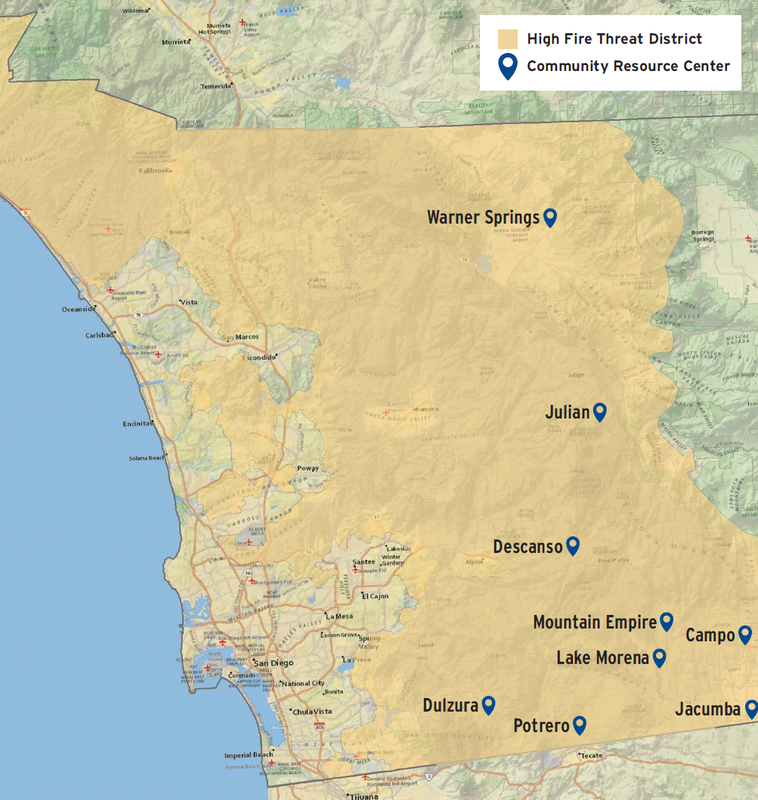 We've created a Community Fire Safety Program working with representatives from 40 different groups, including water districts, schools, the County of San Diego, fire agencies, telecommunications companies, disability rights groups and residents. Together, we've ensured that proper communication measures are in place in the event of any emergency situation. SDG&E grants help fire agencies get new state-of-the-art equipment, including upgraded maps and radios, self-contained breathing units, medical equipment, and mobile computers on fire engines. Critical technology has been developed and the data is shared with other agencies. Investments to the electric system so it’s more resilient against severe weather and wildfires. 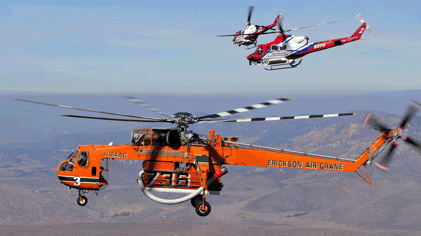 The Erickson Aircrane is a vital tool to fight wildfires in San Diego. Last year was the eighth-year the company has contracted to use the Aircrane. The Aircrane is an impressive machine, holding a maximum of 2,650 gallons of water or fire suppressant – the equivalent of five fire engines. It can be airborne within 15 minutes, and takes only 45 seconds to refill its tank. Over the last eight-plus years it has made more than 820 water drops. That’s over half a million gallons of water dropped to protect our homes, businesses and communities. 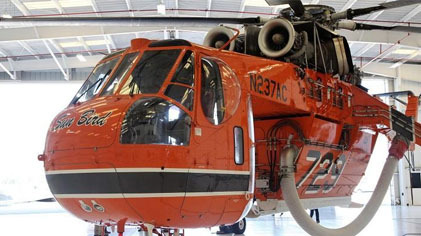 Bringing back the Aircrane for another fire season is just one of the many enhancements we, and our partners, have made over the years to improve wildfire readiness. Working collaboratively with the County, local jurisdictions and the state is key to ensuring our communities are as safe as possible. We take our responsibility to operate the electric grid very seriously. If conditions threaten the integrity of our system, we will turn off power to protect public safety. 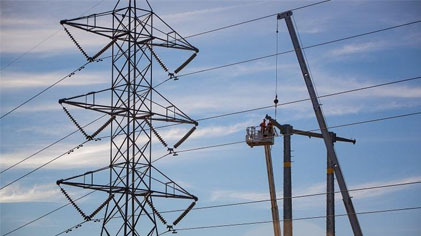 Some of the factors that are taken into consideration include the circumstances of the emergency, wind speed measurements, temperature, humidity, field observations by SDG&E crews and information from fire agencies. While some homes may be located where there is not high winds, other parts of the line or circuit serving homes may be located in an area experiencing gusty wind conditions that require a power shutoff as a safety measure. Before power is restored, field crews patrol lines and deem them safe to re-energize. When patrolling, crews look for safety hazards like downed power lines, debris, tree branches caught on lines, or broken hardware. If damage is found, repairs must be made first. 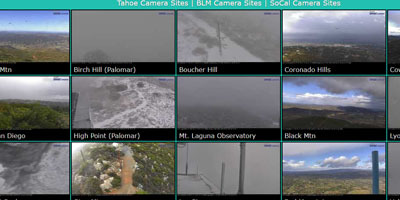 In collaboration with UCSD and the University of Nevada, Reno, these high-definition cameras improve fire detection through a live-streaming view of San Diego’s most fire-prone areas. 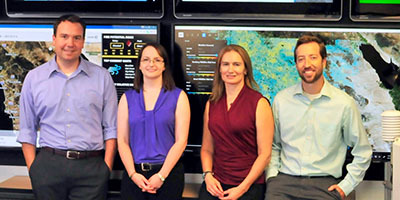 Our team of four full-time meteorologists help us make informed operational decisions. They’re constantly analyzing weather data and providing microclimate forecasts to our electric system operators. 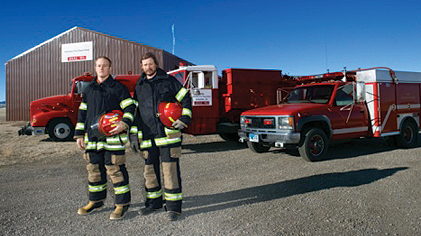 Our fire protection efforts extend to a comprehensive vegetation management program. Arborists, tree trimmers and pole brush experts maintain clearances around 460,000 trees and brush is cleared around 30,000 poles. Our comprehensive fire-risk mitigation program helps protect our customers, communities and stakeholders. And we stay committed to continuing our collaborative and proactive approach into the future. Changing weather conditions are putting our region at risk for wildfires. We’ve made significant investments to protect our communities, but there are times during extreme weather when we may turn off power for public safety. Read more about Public Safety Power Shutoffs and the steps we take to restore power afterwards. When does SDG&E turn off the power for public safety? We take our responsibility to operate the electric grid very seriously. If conditions threaten the integrity of our system, we will turn off power to protect public safety. 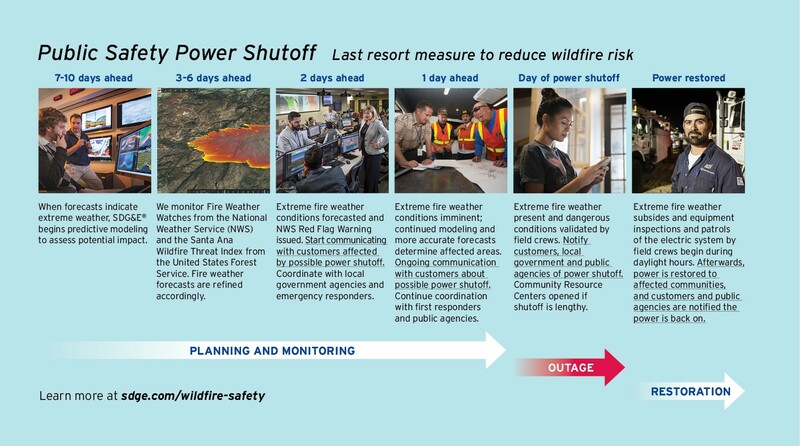 Some of the factors that are taken into consideration include but are not limited to the circumstances of the emergency, wind speed measurements, vegetation moisture, temperature, humidity, field observations by SDG&E crews and information from fire agencies. We've developed a way to reduce the number of customers impacted when conditions may lead to a power shutoff in high-fire threat areas. Additional weather stations and electrical devices improve our ability to divide an electric circuit into smaller sections. We can be more precise when shutting off power so the number of customers impacted by a power shutoff is smaller. How long will power be out? Power will remain out as long as the threat to our system and public safety continues—that is, as long as winds are creating a safety issue near and around our electric infrastructure. When the winds are reduced for a sustained time, our crews will then patrol the lines to check for system damage from wind-blown debris or any other problems before the power is turned on. Before we can restore power, crews must patrol lines to assess whether there is any damage. It is difficult to predict how long a patrol might take, given the varied length of each power line, the terrain and whether aerial patrols are required. Some circuits are in rural, mountainous areas that require a helicopter to patrol. In those cases, wind speeds need to be below 35 mph for the helicopter to fly safely. What is the process for restoring power? It’s important to remember that improved weather conditions are not the only factor that determines whether a line is safe to re-energize. Restoring power to customers can be a long process. First, we need to record reduced wind speeds for a sustained period, then allow 4–8 hours of daylight for SDG&E field crews to patrol the line. When patrolling, crews are looking for safety hazards like downed lines, debris or tree branches caught on the line, broken hardware or issues related to communication wires. If there is any damage to the power lines or poles, repairs must be made first before power can be restored. In the case of fire or other extreme weather, this process can take days. You may see our trucks in your neighborhood as you continue to experience an outage. The information they gather helps us plan our work. During a power shutoff, addressing hazardous situations like downed lines is priority. Then, we work on restoring as many customers as we can, as soon as we can. We also prioritize repairs to restore service for critical needs such as hospitals, water pumping stations, and police and fire departments. As we work to restore power to everyone, you may see lights on in your vicinity, while your location remains in the dark. Different parts of a neighborhood may be on different circuits, and not all circuits are restored at the same time. How can I receive updates if my cell provider doesn’t have service during an outage, or if my phone is out of power? SDG&E recommends investing in a landline to ensure a stable communication channel, as well as for SDG&E and first responders to reach you in an emergency. Additional solutions include purchasing a small radio with a crank or solar power to stay informed with the latest news. Many retail outlets offer low cost battery supply packs that should be kept charged and can provide backup charging power to your cell phone and other small electronics. Mobile devices can also be charged in a vehicle with a low-cost adapter. It is always advised to know where your local law enforcement and fire stations are located; they should have the latest information. Does SDG&E have the authority to turn off the power to reduce the risk of wildfire during Santa Ana wind conditions? Yes. SDG&E has the authority to turn off the power in emergency situations when necessary to protect public safety. Please visit http://docs.cpuc.ca.gov/PublishedDocs/Published/G000/M218/K186/218186823.PDF to read the CPUC resolution establishing requirements for power shutoff, and http://docs.cpuc.ca.gov/PublishedDocs/WORD_PDF/FINAL_DECISION/165063.PDF to read the CPUC decision confirming SDG&E’s statutory authority to do so. 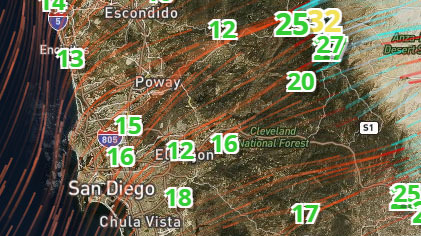 Why doesn’t SDG&E design its power lines to withstand very strong Santa Ana winds? It’s important to remember that power lines from a well-maintained and well-designed power grid can still ignite a catastrophic wildfire. 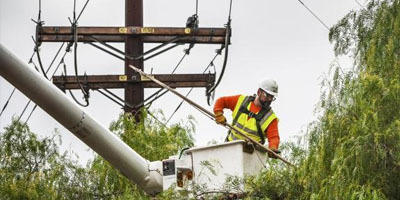 Over the past several years, SDG&E has made significant improvements to its electric grid when it comes to wildfire preparedness, but when dangerous fire conditions are present, it is hard to prevent a tarp or a palm frond, as examples, from whipping through 80 mph wind gusts directly into power lines, creating an ignition. These illustrate the type of conditions that SDG&E must plan and prepare for to protect the safety of our customers. With no power flowing through power lines during windy conditions, an ignition source is eliminated, protecting our communities from the potential of another catastrophic wildfire. If we anticipate the power to be off for an extended period, we may open Community Resource Centers in affected areas. These facilities are places residents can go to get water and snacks, charge their phones, and get up-to-date information on outages. When open these centers could be open for up to 10 hours at a time during daylight hours, or as needed depending on the length of the Public Safety Power Shutoff event. Using a small standby generator for electricity during an outage can keep your home and business running smoothly. In a power failure, plug your generator into the panel with a special power cord and then switch the circuits from utility to power to your generator. Types. The two main types of residential generators are portable and permanent standby. Sizes. Standby generator sizes range from an output of 1 kw to over 100 kw. If you plan to run a few lights and minimal appliances, you can use a smaller model, but if you intend to run all your lights and several major appliances, you will need a permanent standby model. Fuel. Engines usually run on gas or diesel, but models are also available for propane or natural gas. Get power for the basics: smaller, portable models will power basic necessities and cost $1,000 or less. Match the size of your generator to your electrical needs. Operate it at no more than 75% of its capacity. To calculate your generator size, total the wattage of the appliances and other items you want to simultaneously power and then double that number. Most homeowners will need a 5-kilowatt portable generator to power a heating system and a few other appliances. Consider a manual transfer switch, which costs around $500 and should be installed by a licensed electrician. Turn off the generator for at least five minutes before fueling to avoid fires. Read more tips for choosing a generator.